SAN RAFAEL and CONCORD, Calif. — On February 19, 2019, the California Public Utilities Commission (CPUC) approved Solano County’s membership within MCE’s Joint Powers Authority, setting the stage for MCE to become the primary electricity provider for Allendale, Dixon Ridge, Elmira, Green Valley, and the rest of unincorporated Solano County in 2020. Solano joins Marin, Napa and Contra Costa counties, as well as the City of Benicia, in pioneering California’s first and longest-serving community choice aggregation (CCA) program. Robust public discourse and community outreach were central to Solano County’s decision to join MCE. In early August 2018, over 7,300 Solano residents and businesses were notified by mail about the CCA option being considered. On August 20, 2018, the County Administrator’s Office (CAO) hosted a public workshop on CCA and invited MCE staff members to address questions from the community on a wide range of energy-related topics. Public comments at the workshop were decidedly supportive and on September 25, 2018, the Supervisors unanimously voted to join MCE. “Truly one of the best aspects of this program is it gives you a choice,” emphasized County Supervisor and current Board Chair, Erin Hannigan. A central part of MCE’s mission is to expand meaningful energy options to diverse communities. In 2014, Solano County was identified by The Atlantic as the fifth most racially diverse county in the United States. Moreover, with 80 percent of the County’s land dedicated to agriculture and open space, its membership substantially broadens MCE’s rural demographics. Thanks to the comprehensive, long-term planning by MCE’s staff and Board of Directors, MCE is well positioned to address the specific needs of rural customers. For example, MCE’s multi-year Energy Efficiency Business Plan includes more than $8 million for agricultural programs through 2025. MCE has proudly served the City of Benicia since 2015, also part of Solano County. Service to unincorporated Solano County is scheduled to begin in the spring of 2020. MCE has also opened a new community inclusion period through June 30, 2019, for additional Solano cities that may consider joining this year to receive service in 2021. This includes Dixon, Fairfield, Rio Vista, Suisun City, Vacaville, and Vallejo. About MCE: MCE is California’s first Community Choice Aggregation Program, a not-for-profit, public agency that began service in 2010 with the goals of providing cleaner power at stable rates to its customers, reducing greenhouse emissions, and investing in targeted energy programs that support communities’ energy needs. MCE is a load-serving entity supporting ~1,000 MW peak load. MCE provides electricity service to approximately 470,000 customer accounts and more than 1 million residents and businesses in 34 member communities across 4 Bay Area counties: Napa, Marin, Contra Costa and Solano. For more information about MCE, visit mceCleanEnergy.org. EUREKA, CA: The Redwood Coast Energy Authority (RCEA) invites the public to participate in “Citizen Sourcing” to help identify new and/or expanded energy-related programs or projects that will provide a direct benefit to Humboldt County’s Community Choice Energy Program ratepayers. Concepts should align with RCEA’s program development priorities of 1) energy efficiency, conservation, and electrification; 2) electric vehicles and charging infrastructure; and 3) distributed solar power and energy storage systems. Anyone with a compatible idea or vision is welcome to respond, prior experience with energy planning is not required. RCEA hopes to see a wide range of concepts, from neighborhood innovations to county-wide solutions. Responses are due March 14th. RCEA’s Community Advisory Committee will work with RCEA staff to evaluate the responses and make recommendations to the RCEA Board of Directors on which ideas should be further developed and potentially funded. Details, instructions, and a response template can be found at www.redwoodenergy.org. Call (707) 269-1700 ext: 352 or email citizensourcing@redwoodenergy.org with questions. To learn more about the process, workshops will be held on Wednesday, February 20 from 5:30-7:00 p.m., and Thursday, February 21 from 1:00-2:30 p.m. at RCEA’s office in Old Town, Eureka – 633 3rd St.. Established in 2003, the Redwood Coast Energy Authority is a local government joint powers agency whose members include the County of Humboldt, the Cities of Arcata, Blue Lake, Eureka, Ferndale, Fortuna, Rio Dell, and Trinidad, and the Humboldt Bay Municipal Water District. RCEA implements a variety of energy-related programs and projects of behalf of Humboldt County ratepayers, including the Community Choice Energy (CCE) program which provides local control over procuring and developing power on behalf of participating customers while PG&E continues to deliver the electricity, maintain the power lines and electrical grid, and handle customer billing. Today, the Monterey Bay Community Power (MBCP) Policy Board unanimously approved the inclusion of the cities of San Luis Obispo and Morro Bay as new members to the list of municipalities served by MBCP, one of California’s most innovative and fastest growing Community Choice Energy (CCE) agencies. By adding approximately 29,000 new customers, MBCP will grow its customer base to over 300,000 customers served exclusively with carbon-free energy or an additional reduction of 25,000 metric tons of greenhouse gas emissions*. “The City of Morro Bay is excited to join Monterey Bay Community Power, a proven Community Choice Energy program, to bring affordable, greener and cleaner energy to our community,” stated Mayor of Morro Bay, Jamie Irons. “The CCA community continues to grow at a remarkable rate, driven by communities that vare committed to customer choice, reducing carbon emissions and embracing renewable energy resources,” explains MBCP. Ten California organizations will receive the state’s highest environmental honor, the Governor’s Environmental and Economic Leadership Award (GEELA), in a ceremony Wednesday evening at the California Environmental Protection Agency. Established in 1993, the Governors’ awards are given to individuals, organizations and businesses that have demonstrated exceptional leadership and made notable, voluntary contributions to conserving California’s precious resources, protecting and enhancing our environment, building public-private partnerships and strengthening the state’s economy. This year’s GEELA awards will be presented at a ceremony tomorrow evening (Wednesday, Dec. 5) at CalEPA’s headquarters building. To watch the ceremony live, tune in at 7 p.m. by using the link available on the CalEPA Webcasts page. High-resolution photos of the event will be available to the news media upon request. For more information about the GEELA program and this year’s recipients, please visit CalEPA’s GEELA webpage. MCE (Marin County) for a solar energy project that is putting community needs and local workforce development at the center of renewable energy development. United Airlines at the Los Angeles International Airport (Los Angeles County) for pioneering the use of renewable biofuel in the commercial airline industry. Dixon Ridge Farms (Yolo County) for advancing innovative energy self-sufficiency on the farm and serving as a model for sustainable climate change solutions in the agriculture industry. County of Santa Clara & Santa Clara Valley Open Space Authority (Santa Clara County) for their collaborative regional plan to conserve Santa Clara Valley’s working lands and focus new development in existing urban areas. SF Environment’s School Education Program (San Francisco) for its collaboration with San Francisco’s public schools that has dramatically reduced waste going to landfills and increased recycling and composting. Moulton Niguel Water District (Orange County) for sustainable water initiatives that are using public-private partnerships, open data access and public outreach to improve water conservation and reduce pollution from urban runoff. Surplus Service (Alameda County) for programs that are helping businesses reduce electronic waste by reusing and repurposing electronic parts that would otherwise be recycled or disposed of in landfill. Napa Valley Vintners (Napa County) for a rigorous, comprehensive, third-party certification program that is helping to ensure that Napa Valley wineries are operating as sustainably as possible. Construction & Demolition Recycling Inc. (Los Angeles County) for demonstrating that salvaging and repurposing interior debris from commercial building demolition is possible and cost effective, filling a void in the recycling industry. Fetzer Vineyards (Mendocino County) for waste reduction, recycling and composting programs that divert more than 98 percent of waste going to landfills and incineration, demonstrating continued leadership towards a zero-waste economy. The finalists were chosen by a panel of judges that included the Governor’s Office and the secretaries of the California Business, Consumer Services and Housing Agency; the California Department of Food and Agriculture; the California Environmental Protection Agency; the California Government Operations Agency; the California Health and Human Services Agency; the California Labor and Workforce Development Agency; the California Natural Resources Agency; and the California State Transportation Agency. 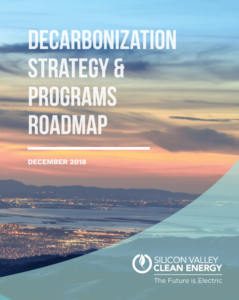 Sunnyvale, Calif. – Silicon Valley Clean Energy (SVCE) awarded a total of $75,000 in grant funds to six local organizations to collaborate on outreach to traditionally hard-to-reach and underserved residential customers. These grants complement the existing work and mission of trusted, local nonprofits while communicating SVCE’s services to a wide range of audiences. Grantees include: Acterra, El Concilio, Interfaith Power and Light, Sound of Hope, Sunnyvale Community Services and the Vietnamese Voluntary Foundation. Many organizations will focus their outreach to customers on income-qualified energy discount programs. SVCE customers remain eligible for the California Alternate Rates for Energy (CARE), Family Electric Rate Assistance (FERA) and medical baseline programs, as well as the federal Low Income Home Energy Assistance Program (LIHEAP). Sunnyvale Community Services (SCS) offers emergency financial assistance and services to SVCE’s largest member community, the City of Sunnyvale. SCS will host an energy education workshop and share SVCE information at food distribution sites, low-income Title I schools, local libraries and community centers. Several other grant recipients also reach low-income and non-English speaking residents. El Concilio, an organization dedicated to improving quality of life for underserved communities in the counties of Santa Clara and San Mateo, will share SVCE information regularly at community events, food distribution sites, health centers and the Santa Clara Mexican Consulate. Sound of Hope, a nonprofit organization and radio network that informs and educates the Chinese-speaking community on local issues, will host an in-person workshop to help residents understand their energy bill and share information at community events. The Vietnamese Voluntary Foundation will communicate how SVCE benefits their clients at community events and through their existing programs and services, such as in-office case management services and classes on computer skills, English as a second language and citizenship. These three nonprofits will also host radio shows to share information about SVCE with audiences who primarily speak Spanish, Chinese and Vietnamese, respectively. California Interfaith Power and Light (CIPL) works with faith-based communities of all religions to combat climate change. CIPL will offer sample sermons, faith responses to climate change, welcome packets and information about SVCE to engage their member congregations. Acterra, an environmental education and community action nonprofit, will host energy clinics at local libraries and senior centers. These drop-in events will give residents an opportunity to speak one-on-one with a representative who can answer questions about their energy bills. The grant cycle is one year with the potential of continuing the program and awarding additional grants in 2019. These organizations will play a critical role in SVCE’s outreach strategy, helping the agency reach a broader audience and build the connections to promote and inform future programs.